Many institutions recognize the need to meet as one large group from time-to-time. Unless they want to take everyone off-site to a hotel ballroom or some other large venue, they will often create an onsite meeting space. 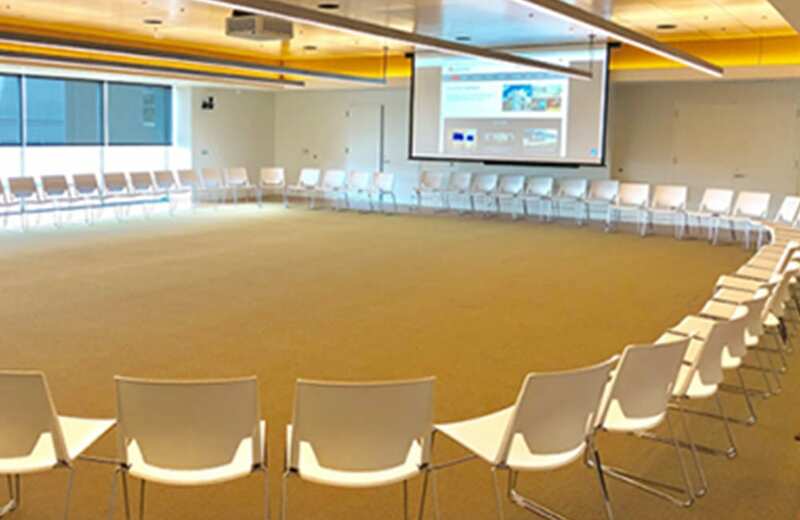 This space can serve multiple purposes…for example it could also serve as the cafeteria, training facility, gaming space, or another conference room space for casual meetings. 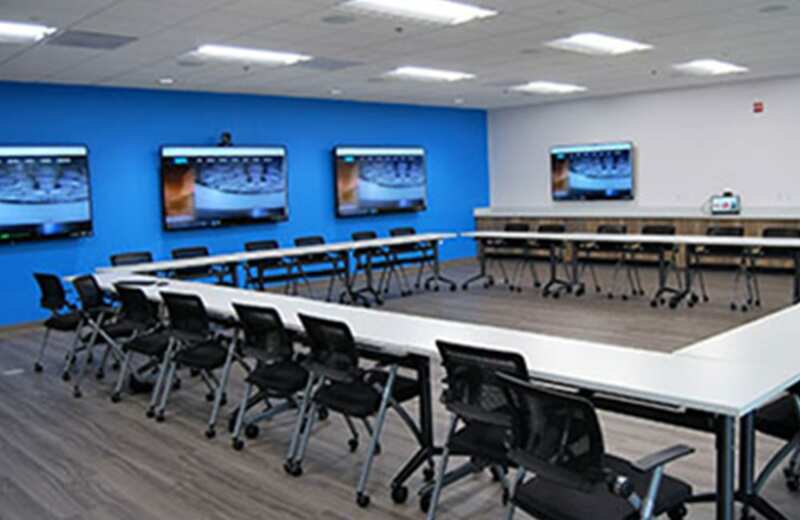 In order to support its use as an all-associate meeting space, it will typically need to have multiple displays (perhaps a projector or two at the front of the room and flat panels along the side walls), properly-tuned audio systems for excellent voice intelligibility and program audio reproduction, wireless microphones for presenters and audience members, sophisticated audio- and video-conferencing capability for meetings which may be shared between multiple locations, recording capability for later play-back, and custom programmed control systems for better control of equipment, and possibly lighting, shades, and air conditioning. Custom-programmed control system with multiple wall-mounted wireless and/or table-top touch-panels.